After recently purchasing a metal fire pit I noticed there’s 3 holes in the base of the bowl. Which made me think, ‘Should I put sand in the bottom of my fire pit?’. The instructions for the metal and cast iron fire fit mentioned that the 3 little holes are there to allow oxygen/air to circulate. As we all know, fire needs oxygen to burn. So this makes complete sense. The holes are also for allowing the ash to fall beneath into the included catchment tray. However, not all fire pits have this catchment tray. Why Put Sand In A Fire Pit At All? First of all you should always read the instructions from the manufacturer. Some metal fire pits recommend you to use an inch or 2 thick layer of sand at the bottom of the pit. So if you are undecided as to whether you need to put sand in the base of your fire pit, check with the user manual first. Some say sand is not required while other brands may recommend it. 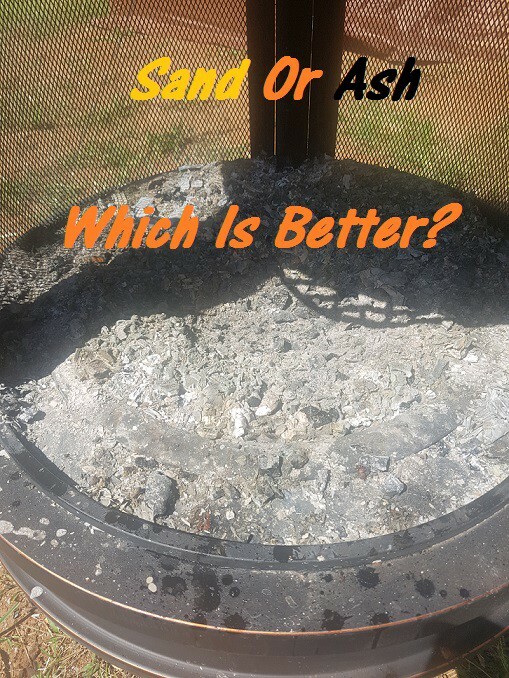 The main benefits of using sand are that it helps to soak up the heat and evenly distribute the heat throughout the fire pit. Sand is also great for protecting the actual metal bowl from the intense heat the fire can put out. At the end of the day, there is no harm in putting sand in the base of a metal pit. It can be annoying to clean after use as you are only trying to remove the ash while keeping the sand intact. If you are an avid gardener, you may also prefer to not use sand. This is because the wood fire ash can be used in moderation as a fertilizer. So haveing the ash mixed with sand would not be ideal. This is only applicable if you are using wood in the fire pit. When it comes to compost, by adding small amounts of ash you can introduce the nutrients previously found in the timber. If you add grass clippings to your compost/garden then the brown carbon component found in ash can help to fight the nitrogen that grass adds into the mix. The Bottom Line — Sand Or Not? In conclusion, you can see that there are both negatives and positives to adding sand to the bottom of a metal fire pit bowl. Whichever style is better suited to you is the option you should take. Me personally cant be bothered with the sand element and just make sure I clean my fire pit regularly to keep it in tip top shape. 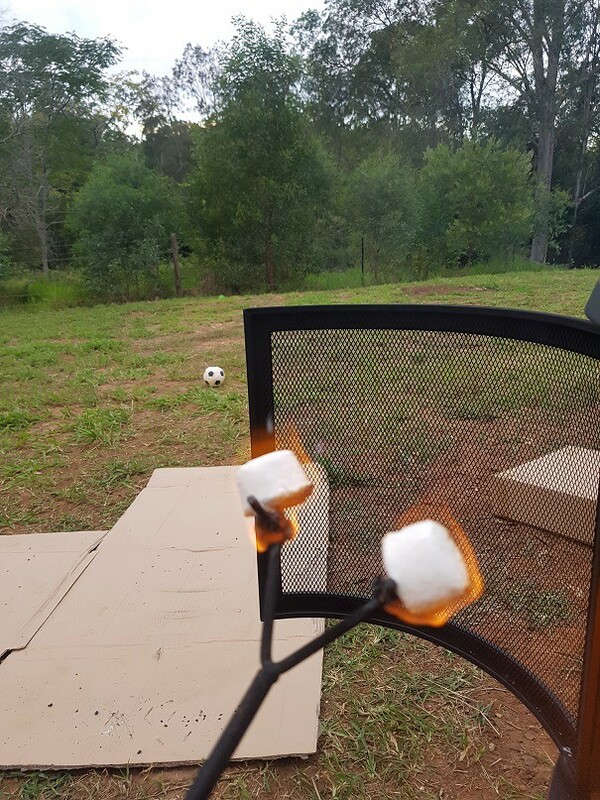 Now it’s time to start roasting those marshmallows I bought today!. Hi Guys and Gals, my name is Josh and I love to share things from around the net of interest to me. I hope you enjoy some of my stories.